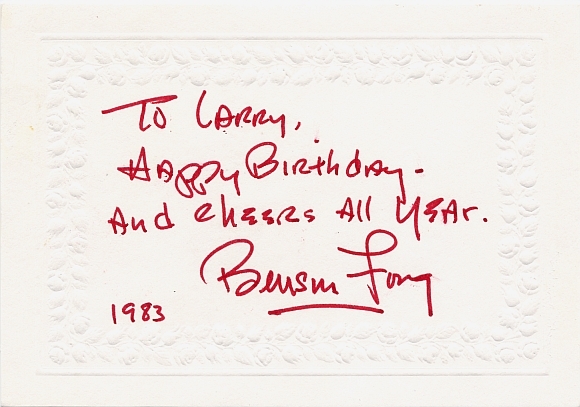 "To Harold - Benson Fong"
"To Larry, Happy Birthday - And Cheers All Year. 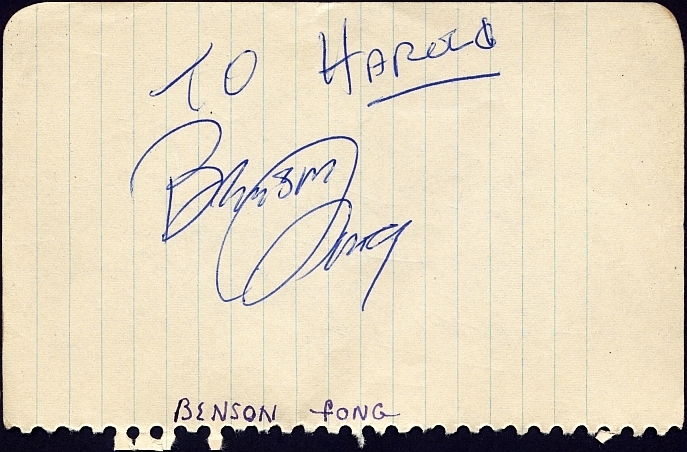 Benson Fong. 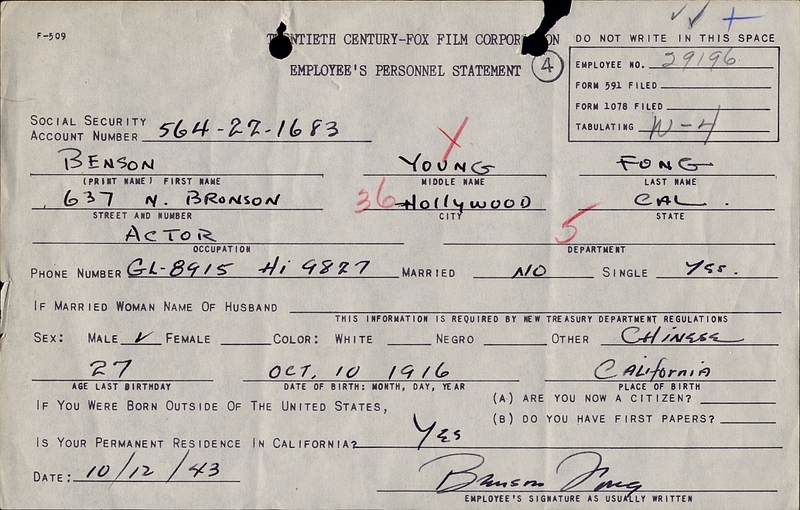 1983."